Bartel Amplifiers is devoted to creating innovative masterbuilt guitar amplifiers with the ultimate in tonal refinement and crafstmanship. 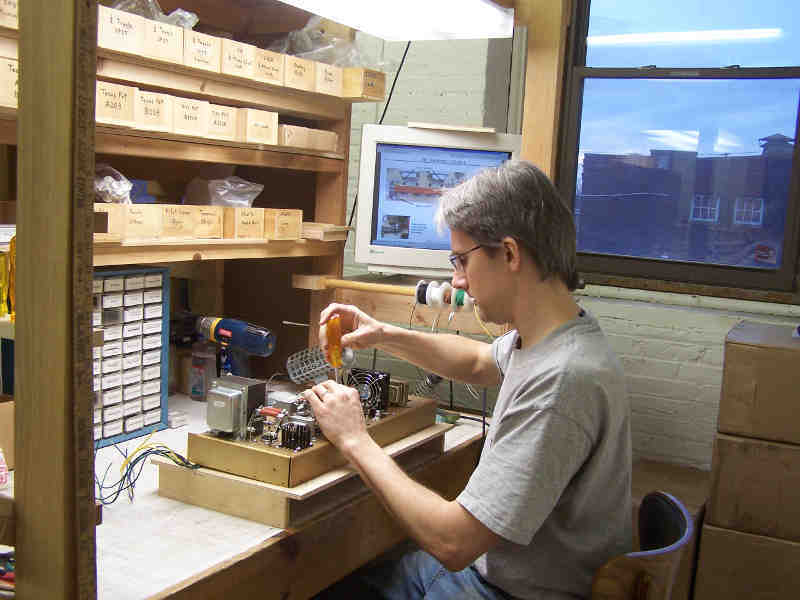 Each amplifier is entirely built by designer Mark Bartel at his Baltimore MD craft shop. The product of 30 years of experience in amplifier design and construction, Bartel Amplifiers offer unparalleled craftsmanship, innovation, and artistry. I’m probably best known as the founder of Tone King Amplifiers. Prior to starting Tone King, I had been involved with a number of interests such as electrical engineering, fine woodworking, electronic assembly, hi-fi, critical listening, and guitar playing which all contributed to my efforts in designing guitar amplifiers. I also worked in the computer and semiconductor industries for 17 years as a design engineer after graduating from Clarkson University in 1988 with a degree in computer and electrical engineering. 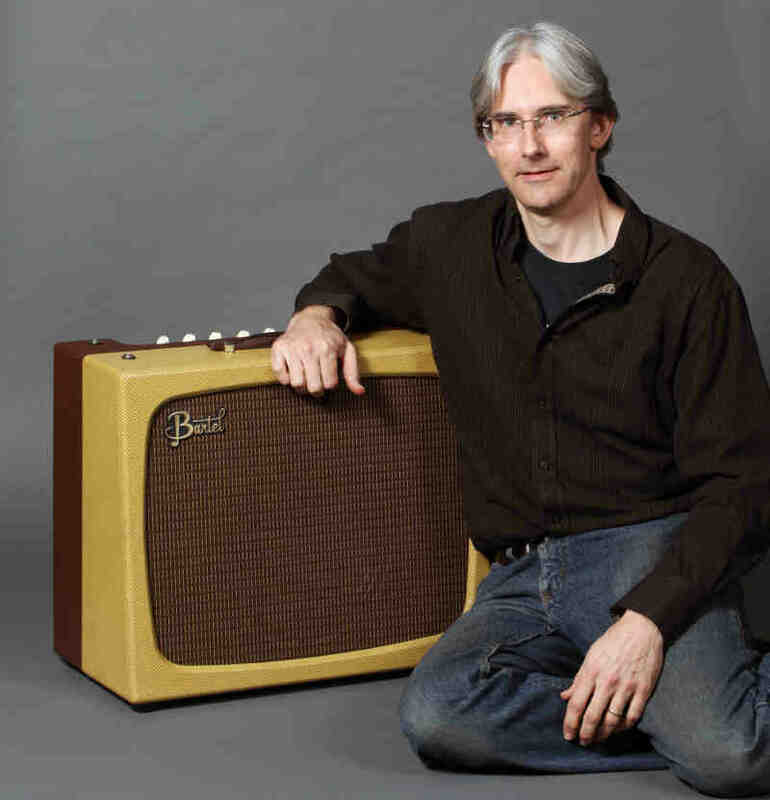 Much of the foundation of my approach to amplifier design was formed under the mentorship of my friend Ben Prevo, an amazing tele player and musician with an encyclopedic knowledge of vintage Fender amps who inspired me to take vintage sounds further. After years of work toward that goal, I founded Tone King in 1993, working out of the basement of my house in Kingston NY. 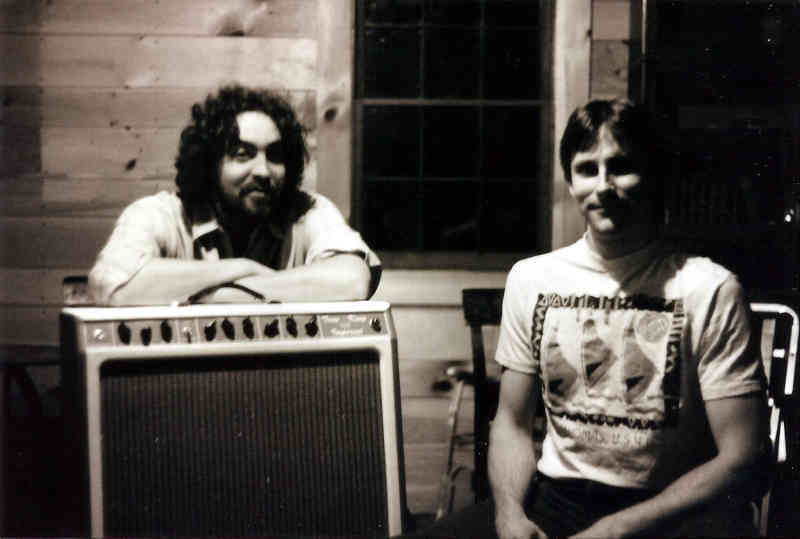 I built about a dozen Imperial amplifiers in Kingston before moving to Baltimore MD in 1994. In the years that followed, I grew the company and developed a string of new models (the Continental, Galaxy, Comet, Meteor, Meteor II, Metropolitan) while continuing research and development efforts in circuit design, construction, and speaker cabinet design. In 2009, I was invited to become a part of Premier Builders Guild – a collective of boutique guitar and amplifier brands. PBG became the owner of Tone King, and I remained as lead designer of Tone King amps. 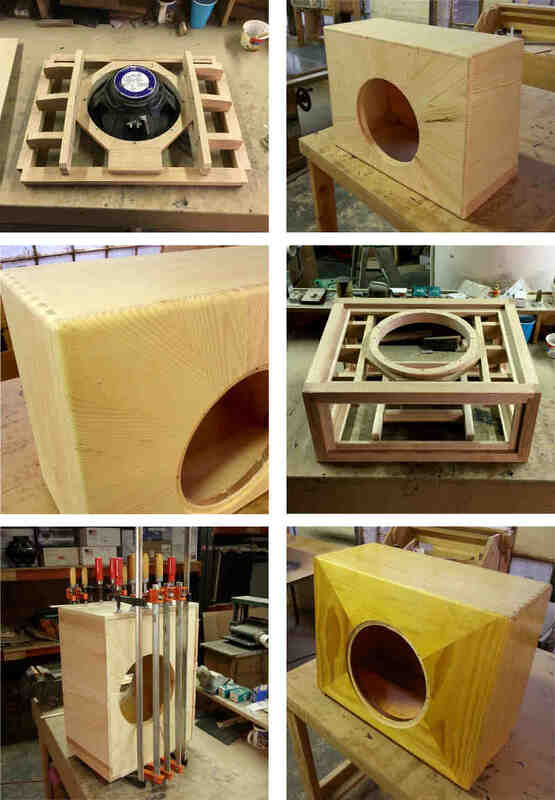 With PBG, I was able to become more involved in the industry and devote more time to research and development, learning new ways to craft the sound of an amplifier through circuit design and cabinet design. During this period, I developed a number of new models – the reissued Galaxy, Falcon, Ironman Attenuator, 20th Anniversary Imperial, Falcon Grande, Ironman II Mini, Imperial MK II, and a last model called the Gremlin, which was not produced under PBG. In December of 2016, PBG closed down and my time with Tone King came to an end. Tone King is now a part of Boutique Amps Distribution, and they are carrying on with Tone King’s legacy of fine vintage inspired amplifiers. After my time with PBG and Tone King ended, I decided to start a new brand devoted to developing and building elite masterbuilt guitar amplifiers. 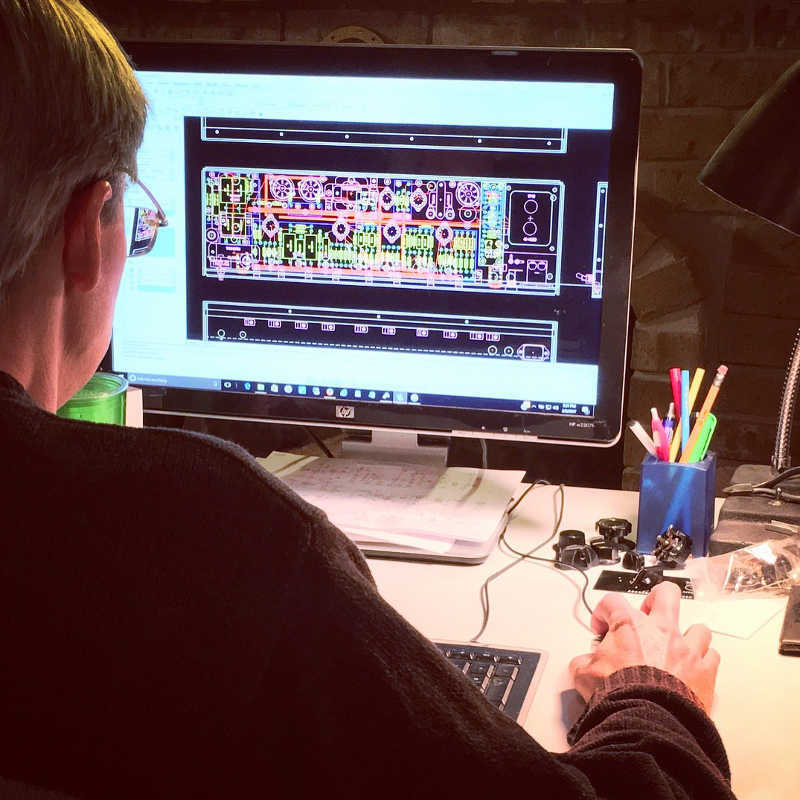 After having spent decades in research and development, I felt that I was at the top of my game and ready to develop some truly outstanding new designs. I began by digging deep into basic research, leaving behind the work I had done with Tone King and starting fresh. 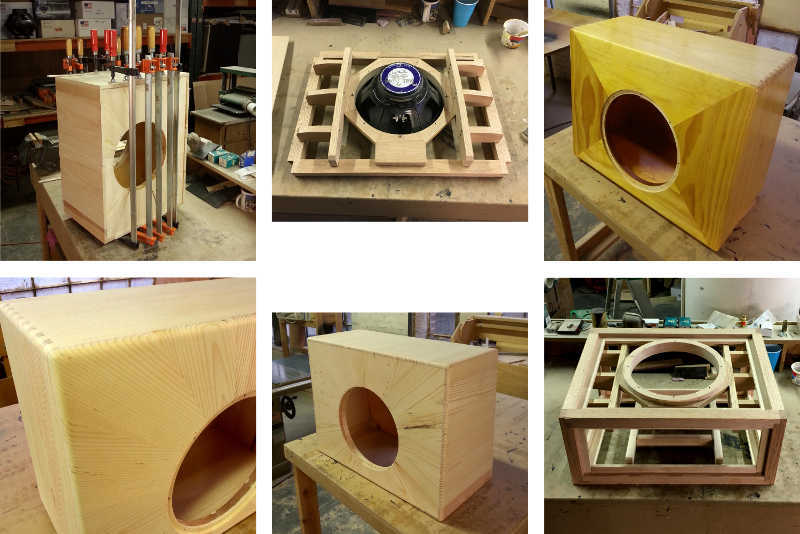 The new designs were to be purist in nature – simple, all tube, handwired, and driven by the natural acoustic properties of finely tuned solid wood cabinets. I focused on creating a genuinely natural sonic presentation, like an acoustic instrument, in which every note is full and resonant, rich with color and consonant harmonics, and free from glare and constriction. Achieving this new sound meant pursuing a lot of innovation. These designs are loaded with innovation in both circuit design and cabinet design – from the tonal variety of the Multi-Voice preamp, to the refined overdrive response of the interstage-transformer coupled phase inverter, to the transparent, natural sound of the innovative master volume, to the many details that make the solid wood cabinets perform like an acoustic instrument. To attain the highest level of craftsmanship, I decided that every detail of construction would be performed either by me or performed under my direct oversight at my shop in Baltimore MD. As you’ll see in the detail photos elsewhere on this site, the craftsmanship in these amps is truly uncompromising. On top of all this, I added an element of artistry to every detail of these amplifiers – inside and out – to make them truly unique. I make my own custom turret boards, and even mold my own custom knobs and other appointments to make these amplifiers special. I’m absolutely delighted with the way these amplifiers turned out. They have a bold, punchy, and totally unconstricted sound that is like no other amp I’ve played – a sound I’ve been chasing for 30 years. I hope you enjoy them too.